Buy lisadorina a Coffee. ko-fi.com/lisadorina - Ko-fi ❤️ Where creators get paid by fans, with a 'Buy Me a Coffee' button. Hello! 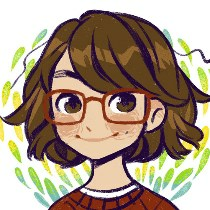 I'm Lisa, 31, freelance illustrator from Germany. I draw the webcomic Green & Gold, a slice of life story with an lgbtq spin about teenagers at a German boarding school. The coffee tips will flow into the production of Green&Gold. Secured Payments. Support goes to lisadorina's account. Upgrade lisadorina to a yearly Gold Membership with a one-time payment.